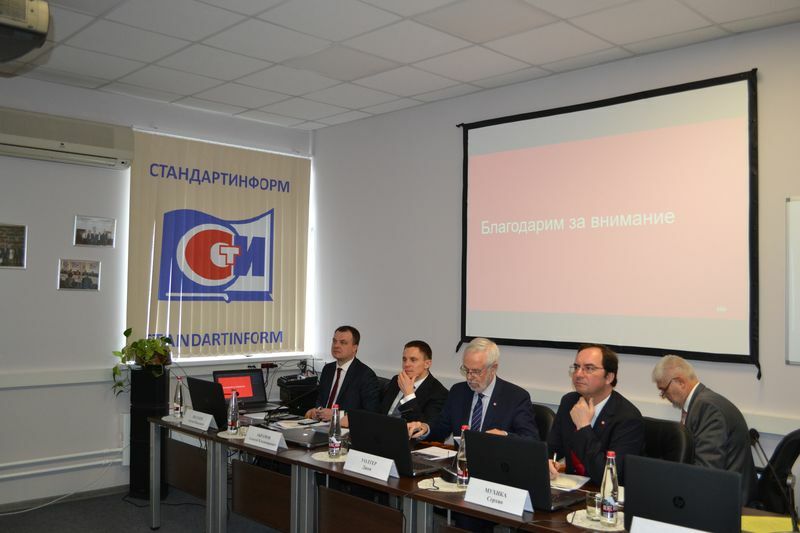 Session of the Round Table with participation of the ISO President John Walter and ISO Secretary-General Sergio Mujica, Head of GOST R Alexey Abramov, Deputy Heads of GOST R Boris Potemkin and Anton Shalaev, management of STANDARTINFORM headed by Director General Viacheslav Vitushkin was held in STANDARTINFORM on February 5, 2019. ISO top officials told about ISO history, its organizational structure, principles of its functioning. 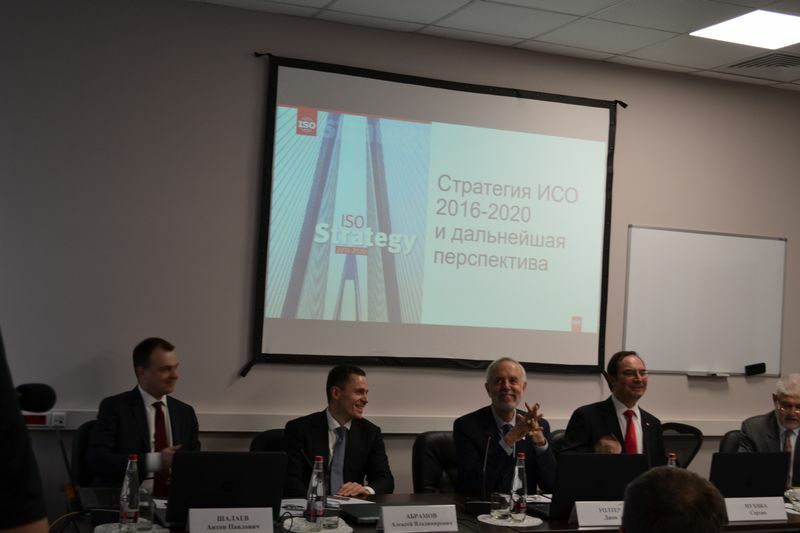 They focused on the development program of ISO which was reflected in the presentation «ISO Strategy 2016-2020 and future prospects». 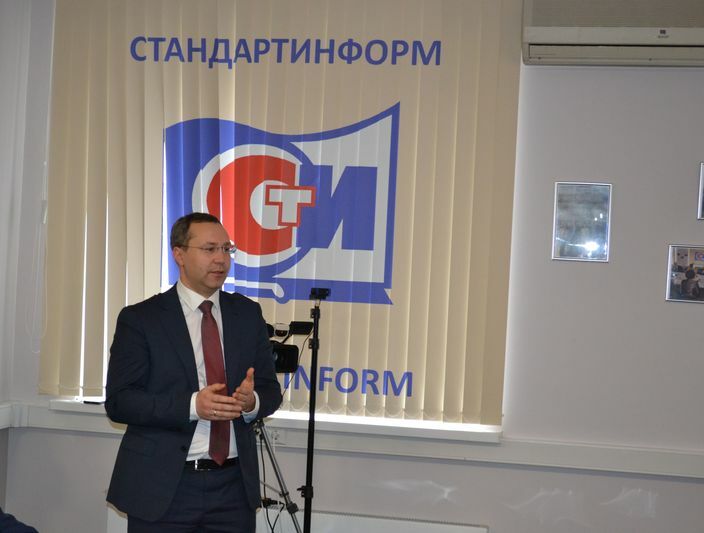 Representatives of GOST R system gained an opportunity to ask questions to ISO representatives. 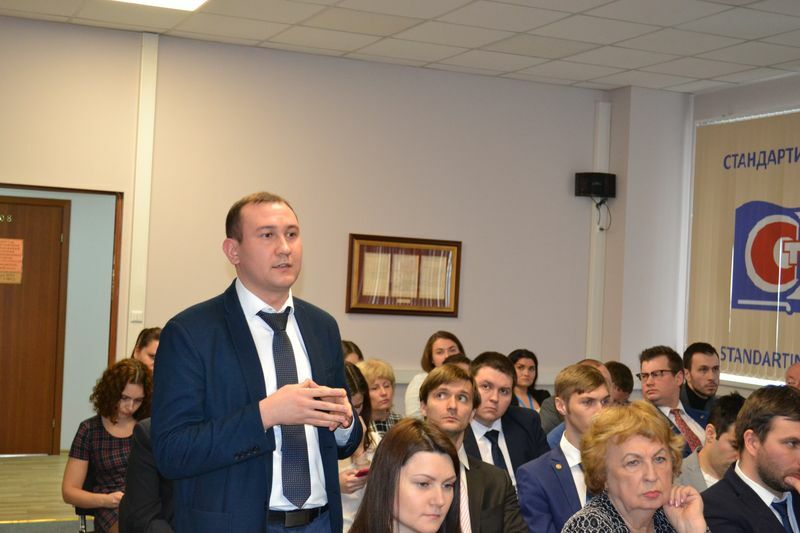 Council on youth policy of GOST R took an active part in this discussion. Following questions were examined during this session: What knowledge should an expert of the future have? What is digital standard? How will the system of distribution of ISO standards change? 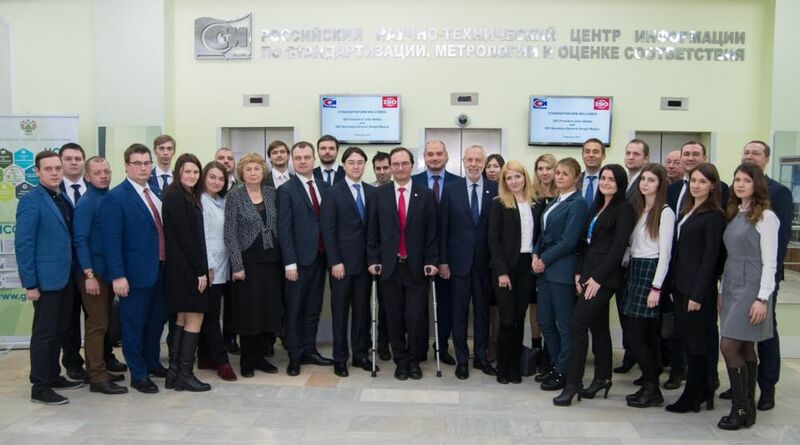 Topics of development of standardization in innovative fields, determination of relevance of ISO standards, keeping of consensus principle during the process of adoption of standards were discussed during the meeting.